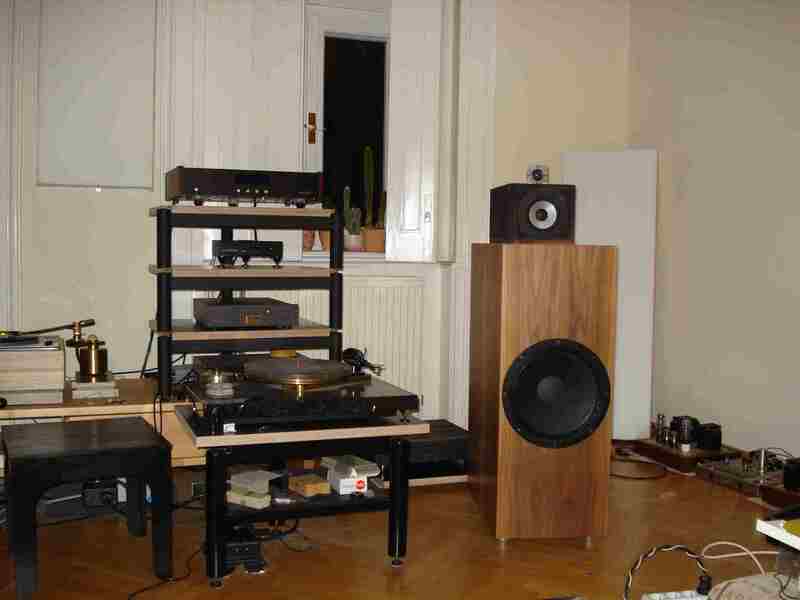 People who visit my website regularly have certainly realized that, regarding loudspeakers, there is one company often mentioned: Haigner Designs, a premium loudspeaker manufacturer here in Austria. 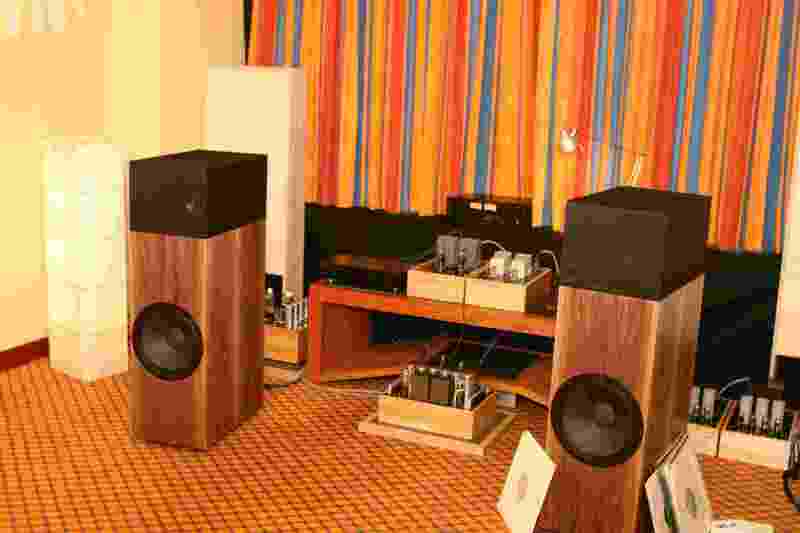 The mastermind behind this small company is David Haigner, who has built up extensive knowledge in loudspeaker design and acoustics in his nearly 30 years of developing loudspeaker systems for PA as well as home audio use. He also successfully improved the electroacoustics in places such as the famous art gallery Albertina and the Vienna City Hall. It's hard for me to imagine a more knowledgeable person in terms of loudspeaker / crossover design and room acoustics than David. Once you have the possibility to hear a lecture by him (for example, at the School of Audio Engineering Vienna [SAE Vienna] where he frequently teaches) or discuss with him technical aspects of loudspeaker design you will understand what I mean. He has tried almost everything currently known in loudspeaker design and can technically explain in detail advantages and disadvantages of various crossover designs commonly used. What he found the most promising, for example, time-aligned loudspeakers, he has improved further, always with the goal in mind of reaching the truest reproduction of recorded music. To put it briefly, he is a true artist in his field! David and I have been friends for many years, a fact that I'm proud of. This friendship has given me the opportunity to watch his path in designing his speakers and to learn more about his quest to develop the most musical loudspeakers. David is one of the rare species of electronic designers who believes in quality products, which means that the crossover designs he develops are different from what you normally get on the market. He takes extensive care and a lot of time to fine-tune his crossover creations as close as possible to the optimum frequency behavior. The frequency band of a speaker he has finished doesn't have dips of ± 3 dB and more as is common in the industry; instead, it stays within ± 1.5 dB over the whole frequency range. Another aspect is his selection process of the drivers he uses for his designs. To quote David: "HF drivers are grouped into classes whose differences are equalized by different crossovers, and matched pairs within those classes are used for pairs of a loudspeaker. All the information is stored in a database to be able to select proper replacement parts for every speaker pair produced." 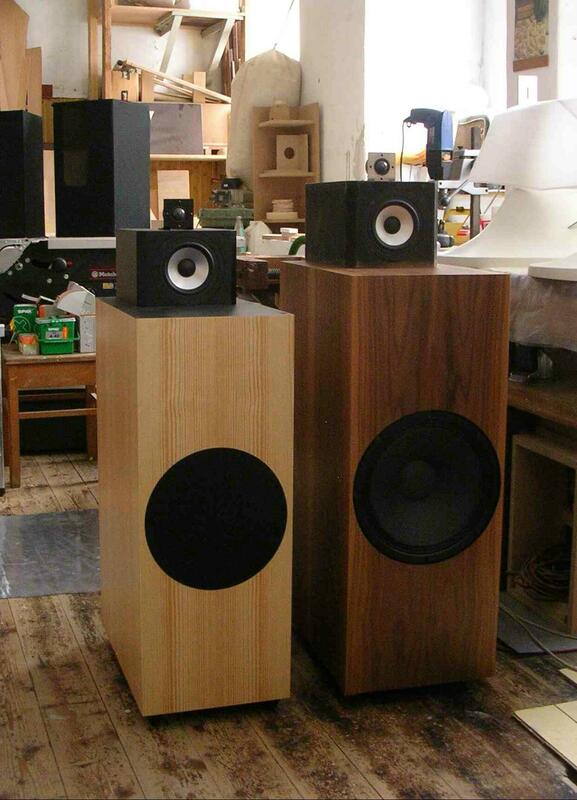 Another specialty of David's designs is that his speakers represent an easy load for an amplifier over mainly the whole frequency range, which is extremely rare in loudspeaker design nowadays. That, combined with high efficiency, is something single-ended tube amp lovers will particularly enjoy, as this secures superb listening results even with the one digit wattage range of our beloved flea powered SE triode amplifiers. And that brings me back to the topic - my experience with the Haigner Tau 3-way monitor speaker. The Tau, which was first introduced at the Vienna Klangbilder Audio Show 2009 with great success, is a fully time-aligned and phase-coherent loudspeaker. It is the next step up from the superbly musical 2-way entry-level Haigner-design named Rho, which Thomas Mayer, the German tube amp designer well known to the visitors of this website, highly acclaims and also uses to evaluate his designs. To be straightforward, the Tau is a real winner in musical terms. My listening sessions always ended later than expected, because far too often I got lost in playing my favorite music. The Tau is definitely a substantial step up in comparison with the excellent and affordable Rho. The stage the Tau can project into your living room is bigger and wider, and instruments are more real. What strikes me most though, is the naturalness and ease of musical reproduction - especially the rendering of acoustic instruments. This is a quality you will find in all Haigner designs, from the Rho up, steadily increasing the more you move up in David Haigner's product line. If you love acoustic music, you will really cherish this quality, which has to do with his approach of time and phase coherence and the extensive fine-tuning of his crossover designs. Listen to a good 50s to 60s jazz record on vinyl, for example (if possible an original or early reissue / second pressing as the difference in sound quality to most of today's reissues is often quite astounding). What you will hear through the Tau is fantastic tonal colors and shadings and near lifelike realism of instruments, be it a saxophone, a piano, a bass or the drums. The Tau also delivers rock music with punch. With my 3.5 watt Thomas Mayer 801A SE triode amp, I can't play as loud as a hard-rock fan would possibly like to listen to Led Zeppelin, Deep Purple, AC/DC or Ten Years After, but all you need is a tube amplifier of, let's say, 8 watts or a good transistor amp from 15 watts and you rock the house. The 12" bass performs pretty well in the Tau design, but if you want to find a weakness in the Tau then it is the bass performance. Compared to the superb integration of tweeter and mid range driver - that combination is definitely world class and sets new standards - the bass lacks a bit of connection, is somewhat slower and not as snappy and colorful as I would wish for. I have to say, however, that these are minor points; overall, the Taus are excellent performers, and compared to their asking price of roughly EUR 8 grand a pair, they are exceptional speakers and a real bargain. Some months ago, David told me that he had started designing a new version of the Tau, which is smaller in size to increase the most important thing, the famous WAF (wife acceptance factor!) as especially our better halves often found the old version of the Tau too big. David also started the new design to cure this minor weakness in bass speed and integration to the mid and treble section. This he did with a 10" bass driver substituting the 12" driver of the old Tau. I had a listen in his workspace in early June 2011 and man this was unbelievable! He did it again. Now, there isn't the slightest thing to complain about. A fantastic 3-way monitor with breathtaking performance from bottom to top was born. Super musical, tonally rich and with fantastic bass drive. The best is that you can't discern the crossover points of these three drivers. Everything melts into place to a complete musical performance, like a single driver approach but with the additional advantage of outstanding performance at the frequency extremes. That is the art of loudspeaker design in its best form. The new Tau has 92 to 93 dB efficiency into 4 ohms, so is a more power hungry speaker than the former, bigger Tau version. That means, flea powered SE designs up to, say, 5 watts are not the best team mates for big orchestral music, but from a good 300B SE design up, you are set to be startled. If you love music, please do yourself a favor and audition the new Tau for yourself. It is a fantastic speaker with outstanding musical strength. Definitely, a gem in loudspeaker design. I can recommend it to you, wholeheartedly. Well known EAR 868 preamp with phono, LFD MCT SE phono stage (another gem) and the Thomas Mayer 801A SE stereo amp, which delivers 3.5 watts per channel as main amplification devices. Amp wise I also use 300B SE Monos (WE 91 style kit version from DIY Hifi Supply, Singapore), Welborne Labs Moondogs 2A3 monos and a upgraded Dynaco ST-70 (Welborne Labs mod) depending on speakers and my gusto. Vinyl front end is a pimped Lenco L75 with the highly acclaimed and superbly built Jeremy Clark super bearing and Thomas Schick's wonderful 12" tone arm - this combo is fantastic in my opinion and another topic worth writing about - and the Lyra Delos MC cartridge (another definite winner to my ears and a best buy, too). Digital source is the Tentlabs CD player used as transport and the very analog sounding Martin Küng modified Micromega Variodac. Loudspeaker and power cables are Martin Küng designs, interconnect cabling ranges from LFD and entry level Cardas to home brew silver cables based on the Connex BL-AG cable, the latter is custom made by DH Labs for Partsconnexion . Please stay patient, as I will report on these fantastic speakers later this year.